Saturdays are the best days for families. If you have the opportunity to lead people from the microphone, be aware not to command people as though you were ordering troops on a parade ground. Being aware of your tone in such a context can be valuable in making people feel honoured. If people respond to an encouragement to make their way to the front of the building, or come forward to share a word, they have usually had to muster up much of their courage to do so. It can be intimidating to come before an entire crowd- keep in mind that people who have made this brave decision should be handled skilfully and honoured by the person handling the microphone. Honouring your word is key to keeping an invitational culture alive. If people perceive that you are a church who upholds their word regarding their meetings in terms of meeting time, children’s programmes and a certain style of worship, the trust you build with those people is likely to lead them to inviting their friends and families. Even if someone is to be corrected publicly, honouring them by correcting them gently can become a teachable moment in itself for the congregation. Our volunteers’ and leaders’ time and family lives should be honoured before deciding the commitments expected of them. Three times per week is the maximum number of meetings we should expect of our volunteers and leaders to attend per week (including connect group), being especially aware of leaving Saturday for families to spend together. While it is useful to have a guideline for a maximum number of times per week a volunteer or leader is expected at a meeting, there is no doubt that short courses such as mens’ or ladies’ programmes are valuable for them. A useful way to fit such courses into their lives, without having to expect them to attend an additional meeting, is to trade such courses with weekly small group meetings for the duration of the course. Humour can often be interpreted as dishonouring. While humour as a tool to disarm people should be encouraged, it is worth filtering a seemingly harmless joke for traces of dishonour. 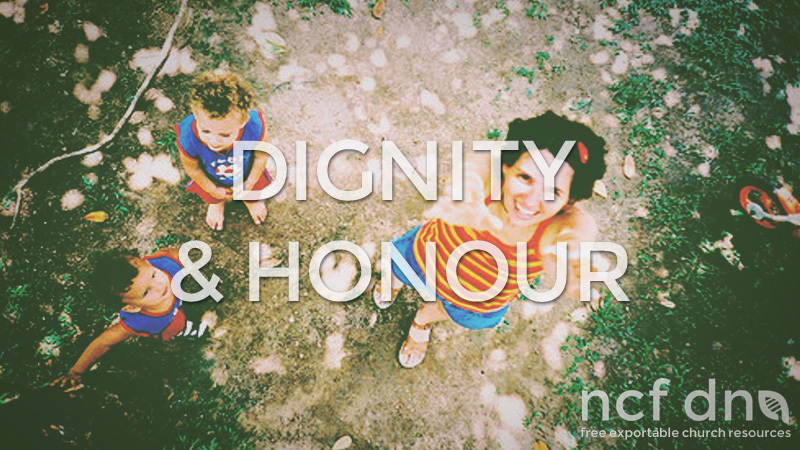 It is recommended that elders set an example in honouring not only their own time, but other’s time too. Practically speaking, this means having- as far as possible- an ordered world and using tools like a diary to help you plan your week.